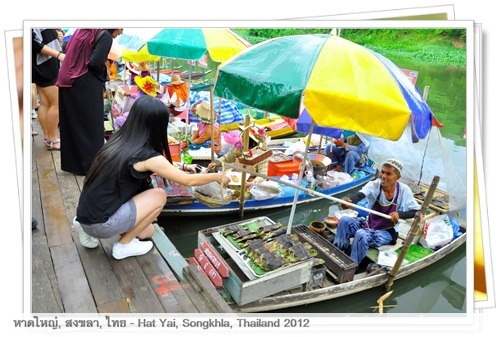 Khlong Hae Floating Market is located at Khlong Hae in Hat Yai, you can get there by public transport which is the famous Tuk-Tuk for a small amount of fees or like us you may drive there on your own, the distance from Lee Garden is around 6km. 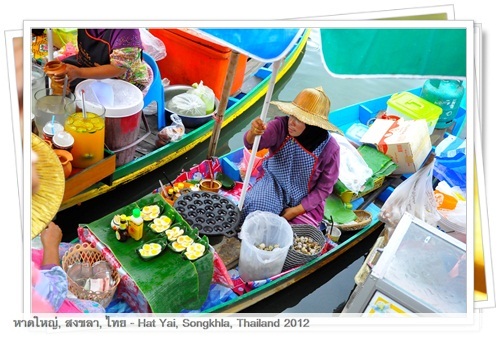 Khlong Hae Floating Market is famous for the way they doing business, small boat are arrange in one stretch selling a big variety of local Thai foods and snacks. 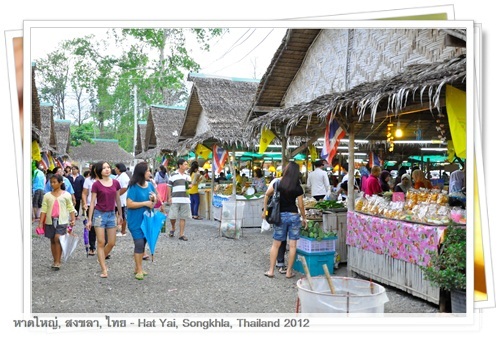 The market are running a campaign for environments as they avoid using plastic bag or foam boxes instead they use bamboo, coconut or clay pots. 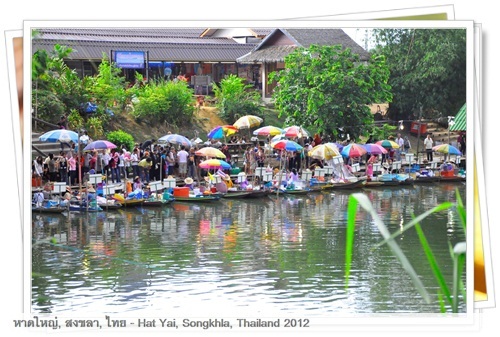 Khlong Hae Floating Market entrance, no entrance fees required. By the way, this is where we park our car at road side. 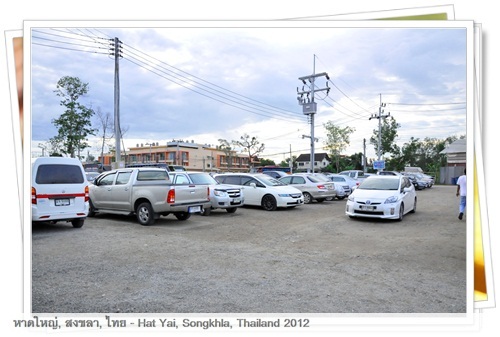 Inside the market there is one big parking space but I do not sure how to drive it, probably same entrance as above. Immediate after the entrance there is a lot of stall on both side of the road. 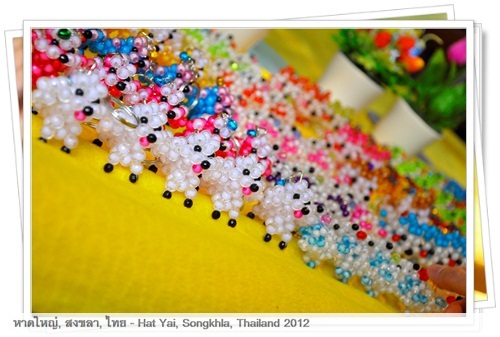 We saw this cute little souvenir, it is pretty cheap and nice. 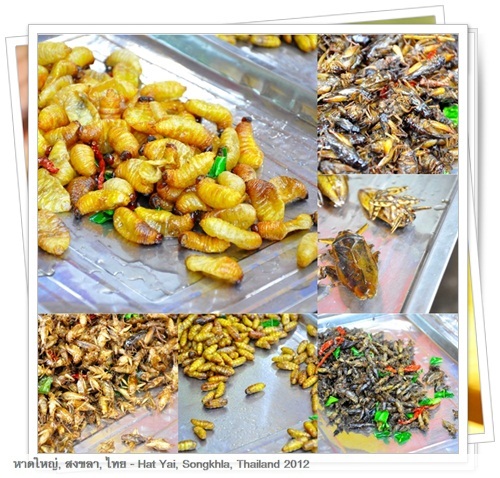 In Thailand you are expect to try something exotic and here you can find those exotic food which we are not dare to try, those thigh protein item look to be crunchy and delicious but we just can’t make up our mind to try it. 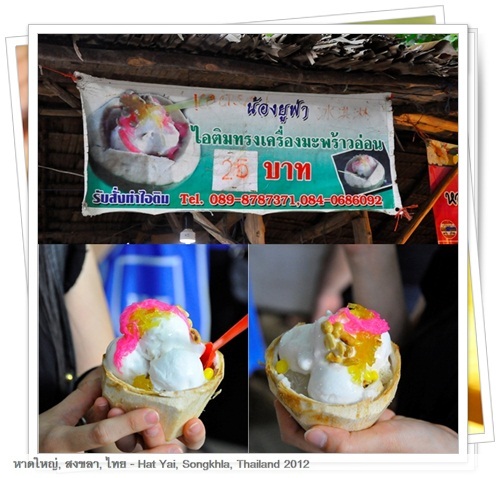 Next to it is a the Thailand famous coconut ice cream, instead of coconut ice cream it is vanilla ice cream with coconut flesh in it, dressing with jelly and peanut. After taking some ice cream we find something much more interesting, BBQ sausage and pork meat. 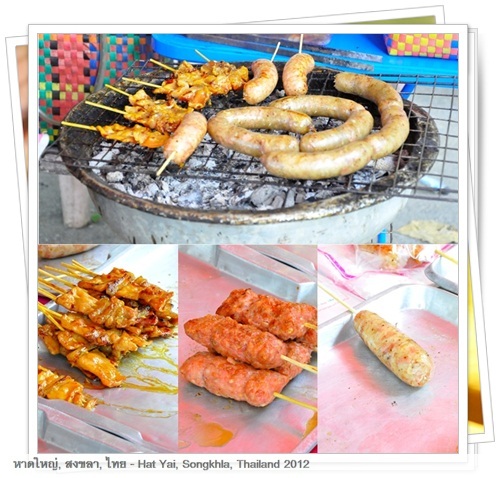 The pork meat stick is extremely delicious, pork meat is succulent and delicious, it is BBQ with sweet sauce. The one in the middle is marinated meat on the right is rice sausage, the marinated meat is pretty big in portion and it has slightly spicy taste while the rice sausage has strong pepper flavor. 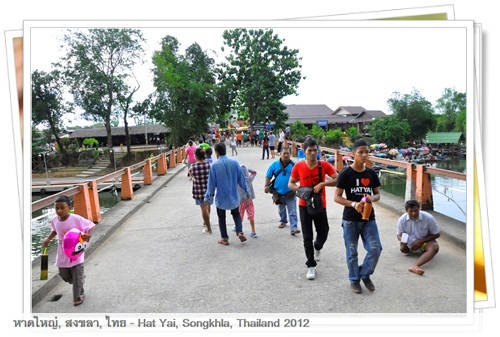 A walk further up the path we arrive at the bridge that bring us over to the excited floating market. 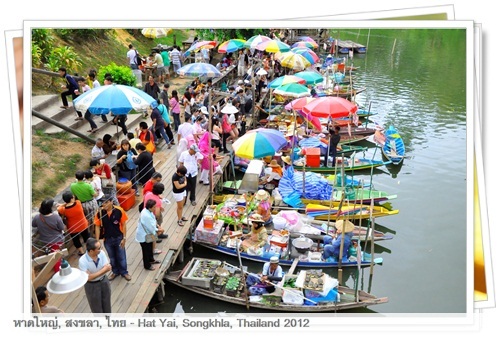 The long awaiting scenery is finally shown, where a lot of hawker selling food in their boat. Place your order and they will hand over to you using basket, take your food and place your money inside. This is how the deal go on. 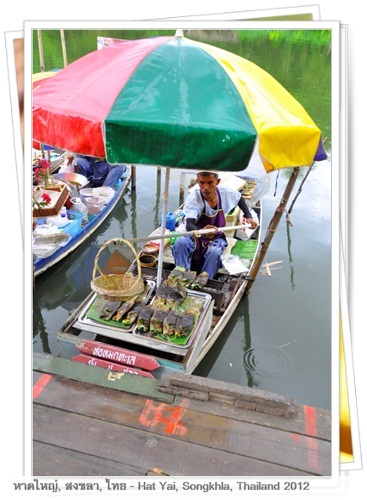 This is a must eat food is Khlong Hea Floating Market, I would call it Otak-Otak as it is what we Malaysian call it. Otak-Otak size here is totally different from Malaysia, in Malaysia we have Otak-Otak in very small portion while at here it cost 20baht but the size is extremely big. 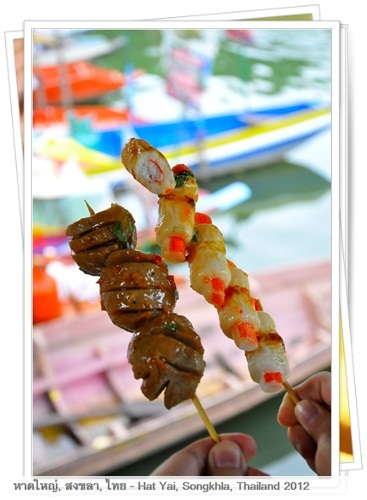 It is much more flavorful and authentic, the charcoal burning taste also making it taste much more better. 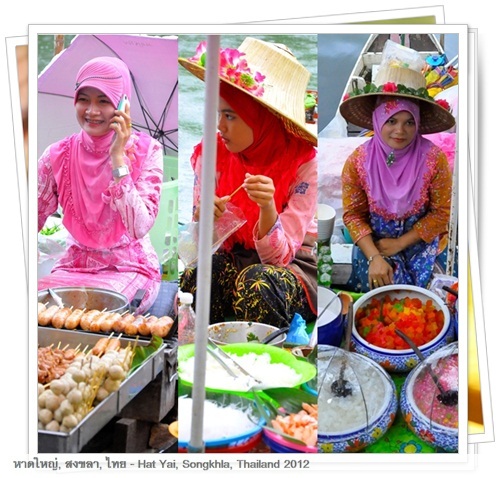 Most of the lady here are wearing pretty as lot of tourist like to take photo of them, here is the top 3 ladies of the market. 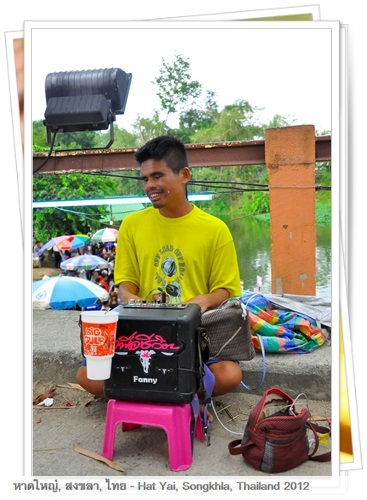 They are all very friendly with great smile. 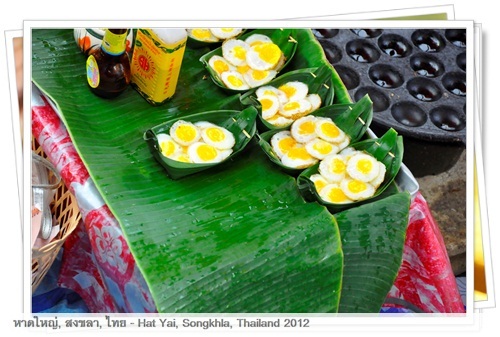 A hawker selling bird egg, this type of egg is extremely high cholesterol hence we did not try it also since it doesn’t look to be special as well. 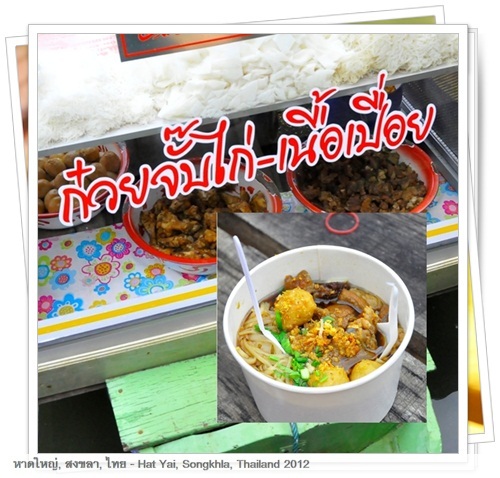 We try the beef noodle, I like the rice noodle very much as it has totally different texture compare to Malaysia. The noodle is flat and slightly harder while the soup is flavorful, it doesn’t has strong beef flavor instead it has herb flavor, together with a beef ball and some garlic it just taste good. 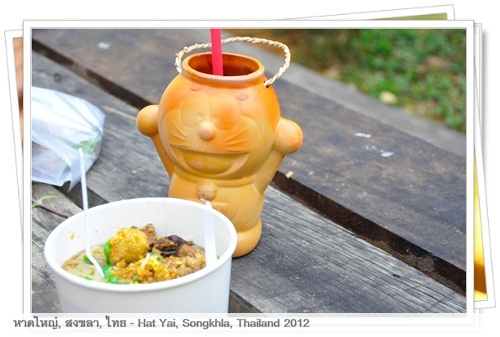 Beef Noodle together with a cup of Doraemon drink. 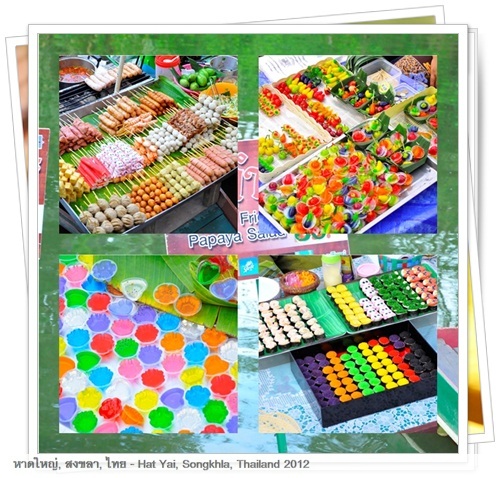 Some other snacks sell in the market, we did not try most of the items as it look to be too colorful, must be using lot of coloring. 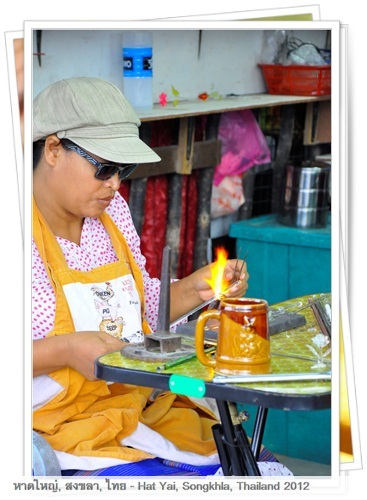 This lady is wearing the most beautiful, she sell something like Malaysia Lok-Lok where a bunch ingredient are putting at the stick then grill, she will soak it into a bowl of chili paste which taste spicy and sweet. 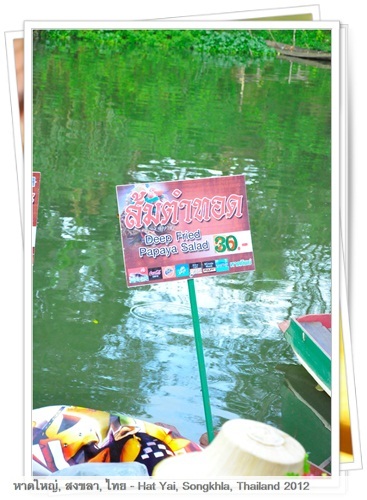 Every boat also has a signboard showing what they selling in English with price tag. 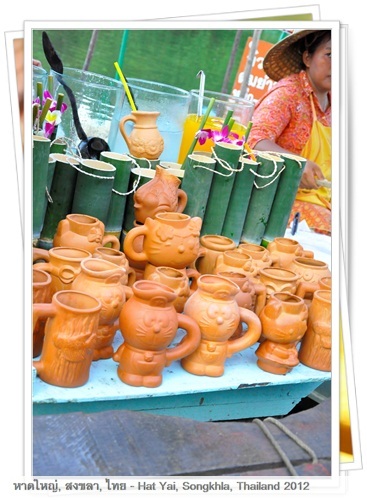 This is where we get our Doraemon drink, for 25bath you get a drink with clay pots of your choice or you may get the bamboo container for 20bath. 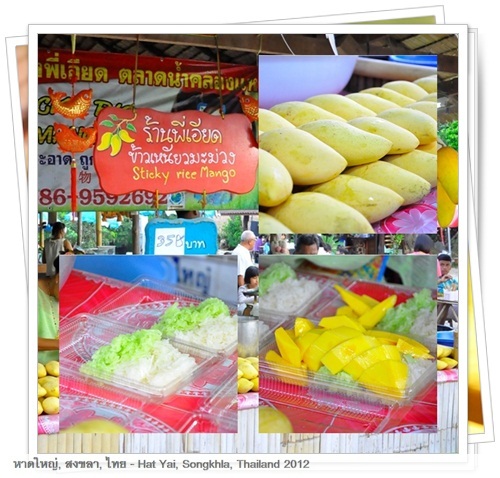 This is a must try items in Thailand, Mango Sticky Rice, one and half mango are served for every plate, very generous amount. As you can see the whole plate is cover with mango. 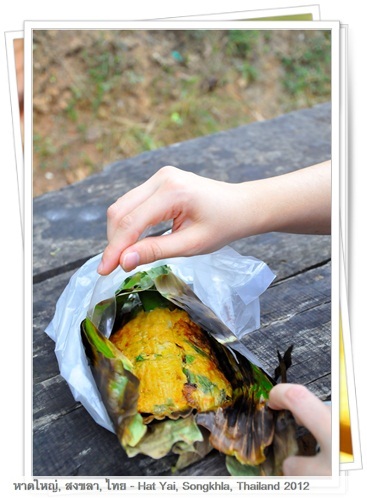 Two type of sticky rice is given, the green color has better flavor while both are slightly salty in taste. 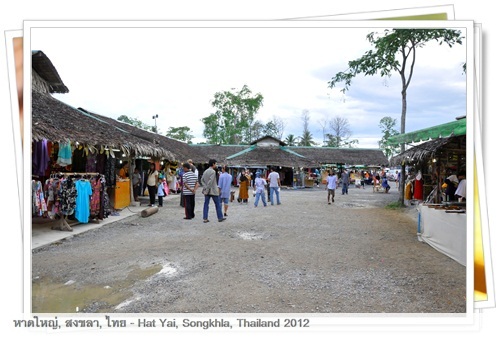 This is the big parking space that I mention above, it should be the same entrance as walk in tourist. I try the small pineapple, it so small, so cute. It is very sweet as well. 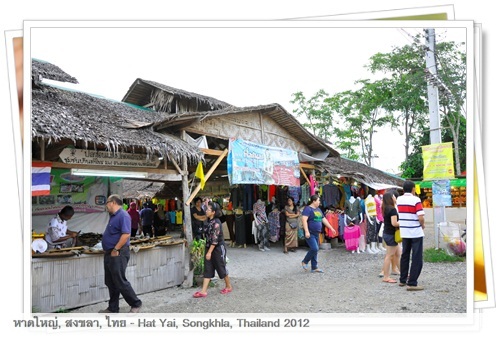 Khlong Hae Floating Market is a must visit tourist attraction, it has lot of local food and snack to try. Remember to bring more cash as you will just spend everything on food, even though it cheap but the huge variety will just burn a hole in your pocket. 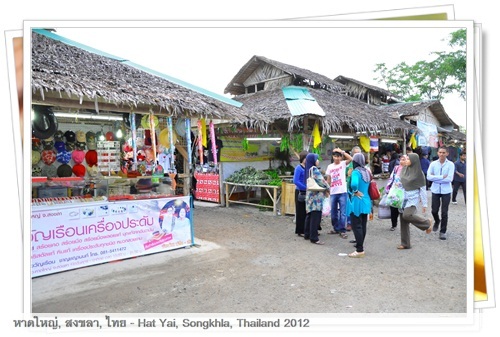 We spend around 3 hours here and our stomach is so full, we are so satisfied with the great food. 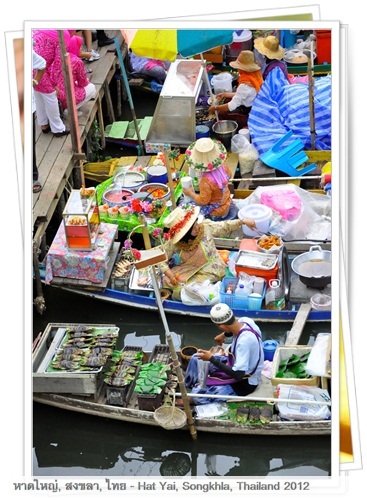 In between Khlong Hae Floating Market with our hotel you will pass by Big C, Big C is hypermarket that like Tesco or Carefour. 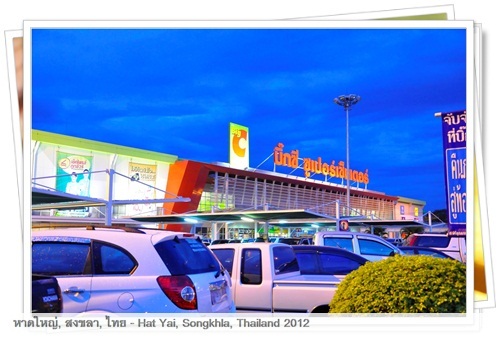 Why we choose Big C is because in Big C is has more local brand and here you can get the famous “Lays” potato slice and “Mama” tom yam instant noodle for very low price. 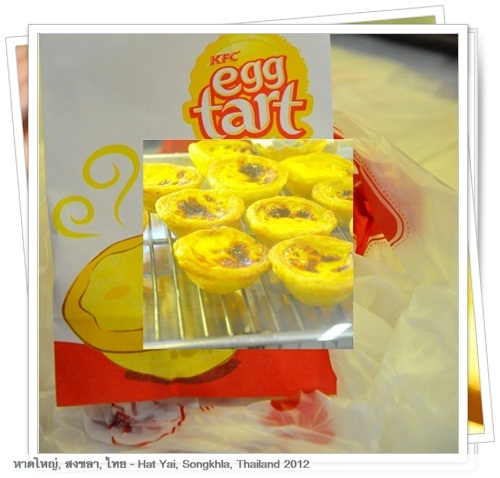 We are glad to see KFC here selling Egg Tart which is the same taste as what we eat in HK. 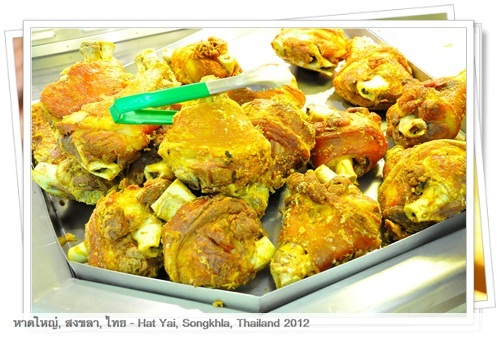 We saw something interesting in Big C, roasted Pork Knuckle that look so delicious, too bad that only both of us and stomach just can’t fill in much since we are planning for a seafood dinner. After some shopping a full trolley we are happy to leave Big C and heading toward Shamila Seafood for our dinner. 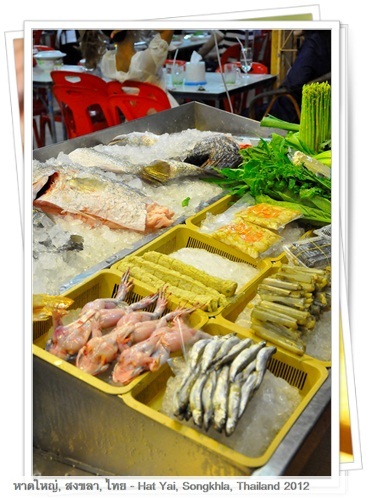 Shamila Seafood located in town area, which is walking distance from our hotel. 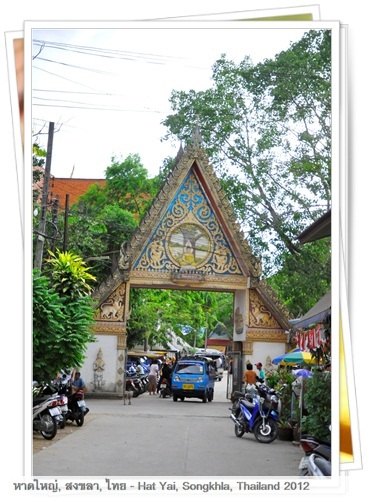 It around 500meter away only, it better to go there either by Tuk-Tuk or walking as it is pretty hard to get parking space. 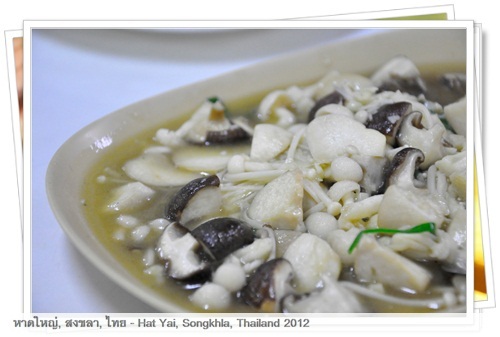 We choose this restaurant as we read quite a number of positive review on their food quality. 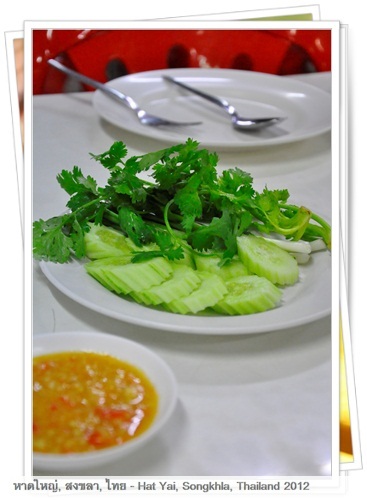 Every table will be serve a plate of fresh vegetable, in Malaysia we call it “Ulam” that use to dip with spicy sauce and eat raw. It is very refreshing and healthy. 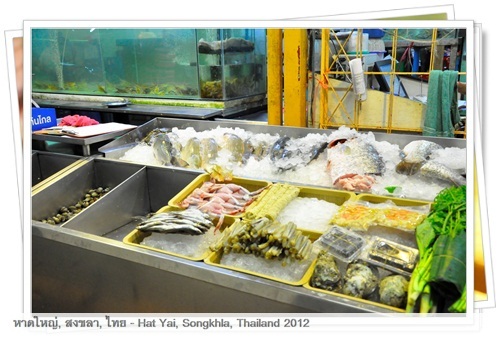 Fresh seafood selling here, choose what you want and they will weight it in front of you. As precaution we always ask for the price to avoid getting chop later. 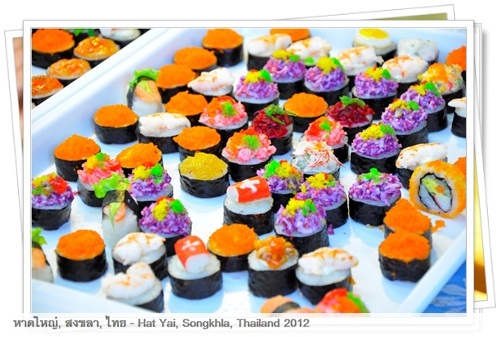 Lot of variety here, choose what fit your taste bud. 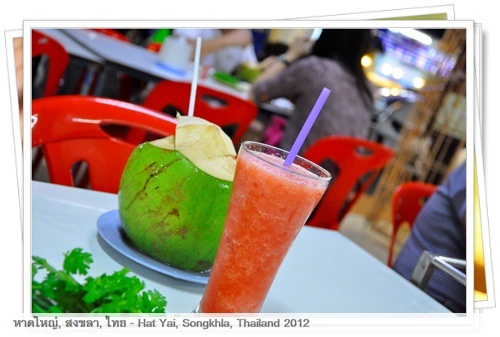 We had a coconut drink and water melons drinks. We had 4 type of mushroom cook together, it is so delicious as the mix and match of various mushroom make a strong mushroom flavor. 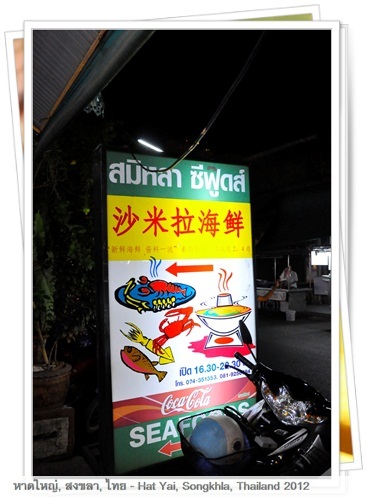 Tom Yam Seafood, the tom yam taste here is slightly more spicy compare to Malaysia, as in Malaysia it taste spicy and sweet but here most of the taste is spicy. 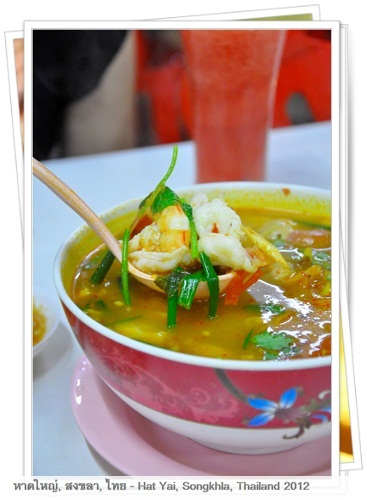 It has very strong ohhmm, I just love the spiciness and sourness of this tom yam soup. 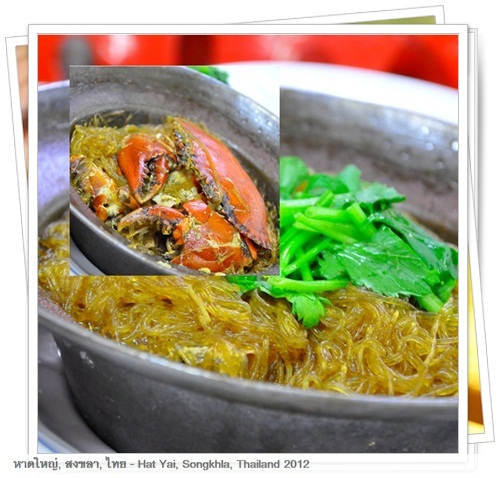 Clay Pot Glass Noodle Crab, this is a must eat dishes as the glass noodle fully absorb the crab essence and the pepper taste making it taste so wonderful. 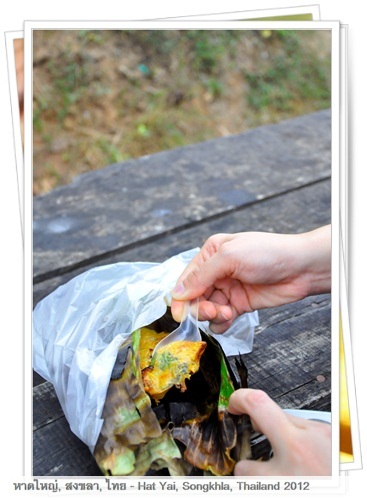 They even wrap the pepper in tea bag to avoid a bite to the spicy pepper, the crab is very fresh as well. We just love this dish so much. Guess what for three dishes and drink with rice just cost us 680baht, price is reasonable and the best thing is their food quality. Which taste so good. 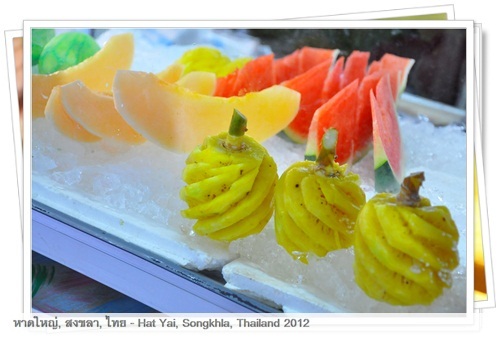 Highly recommended this restaurant to those visit to HatYai. 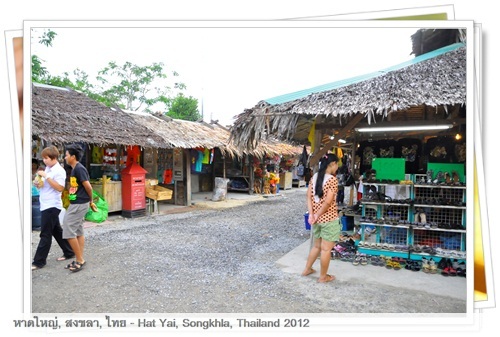 Well, that conclude our first day in Hatyai and we expect something more for tomorrow. 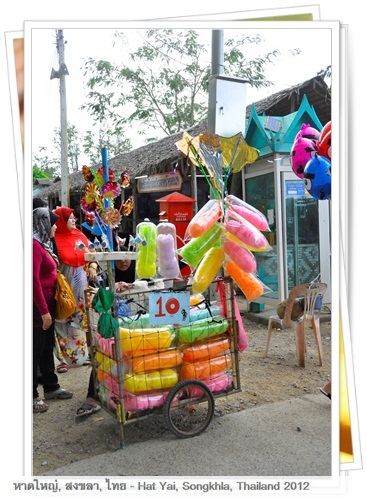 We plan to visit the famous lucky dim sum, pasar, municipal park and ice dome. no problem, hope you enjoy your trip. 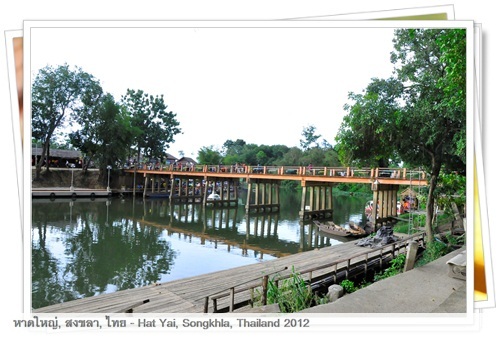 may i know is it easier to drive and find tourist spot in Hatyai? i just thinking whether will we get lost? 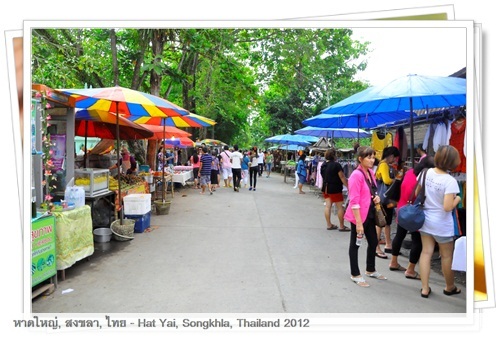 i plan to stay out of town, is the road condition good in hatyai? Please advise. 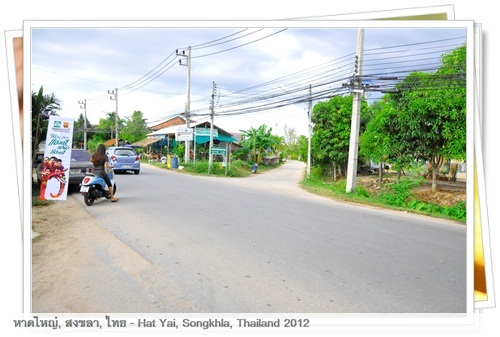 road in good condition and easy to drive around provided you have GPS with hatyai map. 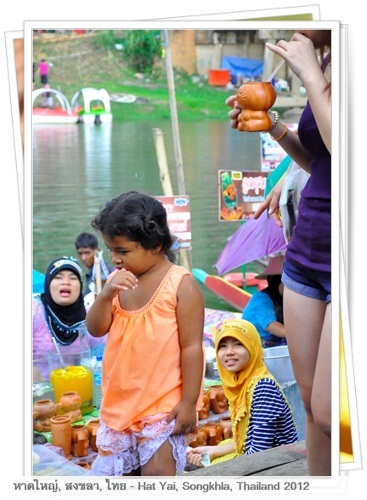 Hi there,I read your blogs named “Day 1 Khlong Hae Floating Market | Taste…iest, Penang Food Blog” regularly.Your writing style is awesome, keep doing what you’re doing! And you can look our website about free ip proxy.